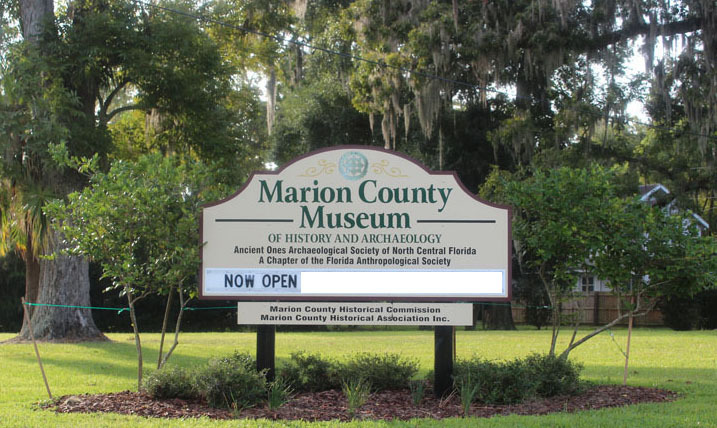 The Marion County Museum of History and Archaeology is a research and teaching institution located at 307 S.E. 26th Terrace, Ocala, Florida, on the McPherson County Government Complex. 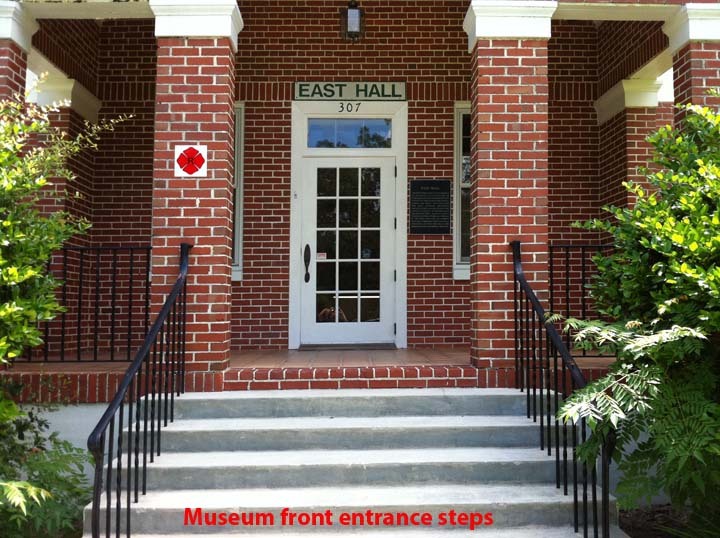 Our Museum's Grand Opening was on September 18th, 2011 and we have now modified several areas in the museum since the opening, so be sure and stop by to see the "Changes". Thank you for your interest in our area's wonderful history and heritage! The museum has for sale Fresh From Florida Memory: Historical Recipes With a Modern Twist 2019 calendar. Each month features a Florida product with a historical photograph of that product and a modern recipe that uses that product. At the back of the calendar are cards with the recipes that may be torn out. Each is $4.62 plus tax and 100% of the money raised goes to support the Marion County Museum of History and Archaeology. All programs 3rd Sunday of odd months, at 2 p.m. in Green Clover Hall at 319 SE 26th Ter. Reception follows at East Hall at 307 SE 26th Ter. All programs admission free to members, $5 to nonmembers. Individual and family memberships available for sale at events. May 19, 2019: Annabelle Leitner – "Early agriculture in North & NW Marion Co". 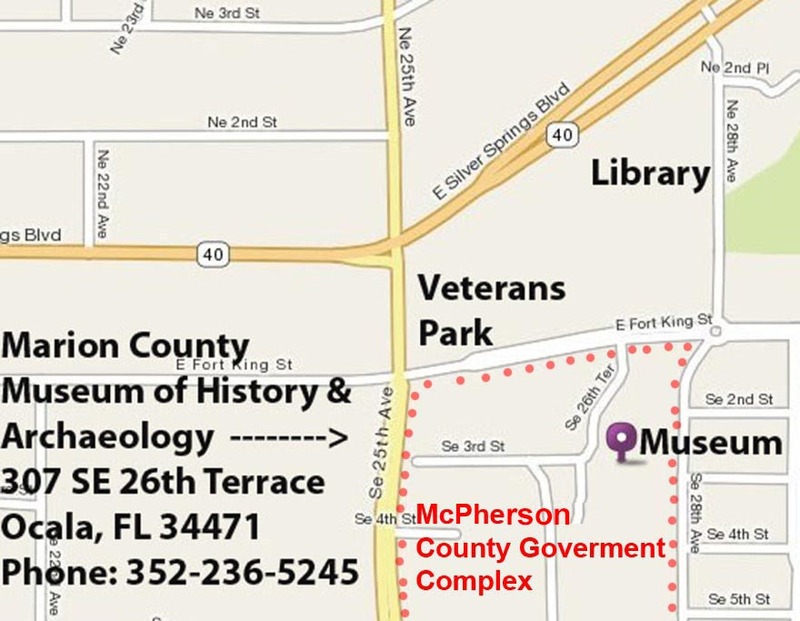 July 21, 2019: Dr. Joe Knetsch "Army Air Corps, Aerial Photography in WWI" including impact on Florida’s development. 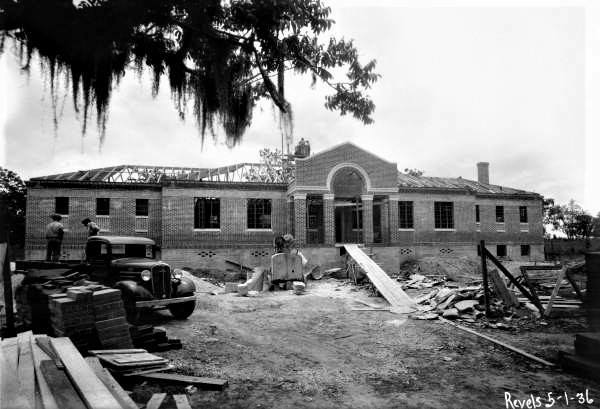 September 15, 2019: Brian Stoothoff, “The History of Ocala – 173 years”. November 17, 2019: Nancy B. Miller, Primitive Uses of the Florida Palm & Pine, Basketry and a Little History, Too! Weaving Baskets out of available local materials, Palm, pine needles, etc. This starts off on Thursday, March 28th at Fort King at 5:00PM with a re-enactment of the first Commission Meeting of Marion County that took place at Fort King on Feburary 20th, 1846. Historical Presentation, Cannon Firing demonstration, and refreshments served. Volunteer at the Museum: Call 352-236-5245 and ask about volunteering at the museum. You can pick you days and hours you want to volunteer and will be taught with “On the Job Training” about Marion County’s History. The county is supplying the building and much of the utilities/maintenance, but many expenses and cost for the displays will be from local donations. 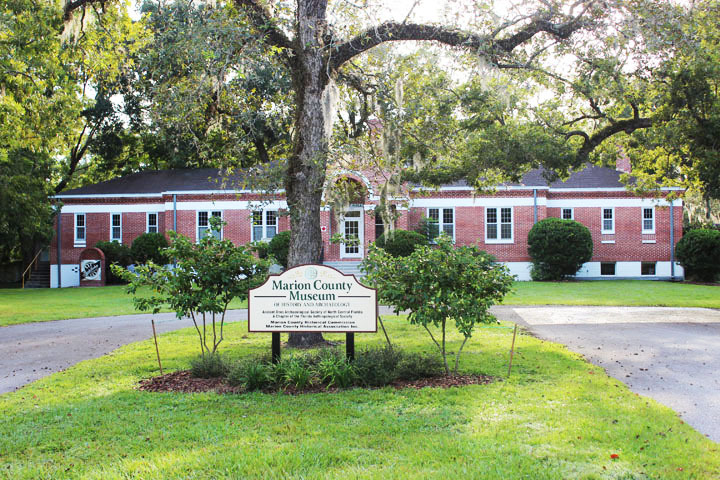 Donations can be made to The Marion County Historical Association (a 501-c(3) Corporation- any donation is tax deductible).